Many Christian geologists I know began their undergraduate geological training as young-Earth creationists (YECs). They entered their studies having been equipped by reading YEC classics such as The Genesis Flood and Scientific Creationism, had a whole stack of Institute for Creation Research Acts & Facts “Impact” articles, and were certain that they would set the geological world straight. None of the Christian geologists I know personally were still YECs when they graduated. For some (such as for myself), there was no serious crisis of faith along the way. For others, there were times of severe trial, as everything they believed about the Bible and the Earth was challenged. I get emails from time to time from geology undergraduates who thank me for helping them during that time of testing of their faith, and for this I am very grateful. Sadly, many Christians who enter geological studies with a YEC background end up as spiritual shipwrecks and leave the faith altogether. They have been taught that if YEC is not true, then the Bible is not true either, and all of Christianity is false as well. When they start learning about how the Earth really works, they are devastated This is the bitter fruit of years of YEC indoctrination through a barrage of books, DVDs, educational curricula, Sunday school, and youth groups. It doesn’t have to be so. Steve Smith is a geologist with the U.S. Geological Survey. I had the privilege of meeting Steve a few years ago. We had moved back to the United States after six years of service as missionaries with the Evangelical Free Church, and we were living in Denver while I looked for employment. Steve gave my wife and I a wonderful geological tour of Red Rocks Park. I ended up finding employment in Missouri, so we were not able to get together again. Steve has done a fantastic job of writing about his experiences as a Christian geologist, from his YEC undergraduate beginnings to his current interactions with young people struggling with science and faith issues. The article is Breaking Away from a False Dilemma, and is posted at Nazarenes Exploring Evolution. With a high-school level understanding of science and theology, I was convinced by this “either-or” argument and, to my knowledge, became the first Young Earth Creationist in my local Nazarene church. I knew the enemy and the enemy had a name. It was Evolution. Although I was fascinated by geology and had found a scientific field that I loved, my faith was in shambles. Based on what I had believed and read in the Young Earth Creationist literature, if the geologic ages were real, if the earth was old, if evolution had happened then the Bible was false, Christianity wasn’t true, and Christ’s death on the cross was meaningless. So what was left? I felt betrayed and seriously considered leaving the church. In retrospect, two factors kept me from leaving: (1) the support of a strong Christian family (and a young lady soon to be my wife) that gave me the freedom to question without condemnation; and (2) the strong witness of my Olivet geology professor, who had not only faced all of the same scientific evidence but was one of the most Christ-like men I had ever met. But before I could move on, I had to recognize that I had been snared by a false dilemma and that the Bible didn’t need to be read as a scientific treatise on how to create a world. That was a time of turmoil and what I needed most was theological support that would allowed me to reconcile what I read in the Bible with what I saw in the rocks. I have seen students break down into tears as they stood on an outcrop of rock and saw evidence that contradicted what their church had taught them. I have comforted my own daughter when she was told by a Sunday School teacher that she couldn’t be a Christian if she accepted evidence for evolution. I have talked with scientists who were once raised in a church and are now bitter agnostics because the church “lied to them” about science. Thanks, Steve, for sharing your story. Thank you for sharing such a story, I’m a graduated technical geology too. even though I’ve learnt about evolution, i do still believe that Christ and His death on the cross that saved me. :). it’s never meaningless for me. I am a layperson with a theology degree. I don’t know a ton about geology. What do you think of a guy like Paul Garner? It seems to me that like Todd Wood, he is someone that non-YECs can respect a little bit. Wondering because we just purchased a ton of books on creation/evolution/materialism/atheism for our library and his book looked like it was worth getting. Seriously then, what should I think? Obviously you guys both know a lot more than me. I am really curious to know what someone like Paul Garner would think of your article. I have no doubt it is true that none of the Christian geologists YOU KNEW were still YECs when they graduated. However, there are examples of such geologists. Dr. Marcus Ross was a YEC throughout his education, and he has a Ph.D. in Geosciences from the University of Rhode Island. Dr. Andrew Snelling was a YEC throughout his education, and he has a Ph.D. in geology. The same can be said of Dr. John Morris and Dr. Steven Austin. There are also geologists, like Roger G. Sigler, who were old-earthers for part of their career and are now young-earthers. I was speaking of geologists I know personally, and I am aware of the exceptions, such as Ross et al. 1. They remain a YEC and are convinced that YEC is true. 2. They become convinced YEC is scientifically false, but remain a Christian with struggles with the connection between the Bible and geology. 3. They become convinced YEC is false and and come to the understanding that the Bible does not require a young Earth. 4. They become convinced YEC is false and reject Christianity entirely. I suppose there are a number of variations on these. I don’t have statistics, but I suspect that #1 is the smallest group. There are two reasons for this. The first is that the Bible doesn’t require a young Earth (as I think you would agree, despite being a YEC). The second is that the geological evidence for YEC is pretty weak (and I know you disagree). You give Dr. Andrew Snelling as an example, but there are numerous problems with his geological teachings (see https://geochristian.wordpress.com/2009/10/06/six-bad-arguments-from-answers-in-genesis-part-6/ and https://geochristian.wordpress.com/2010/09/21/dinosaur-footprints-part-4/). You also cite Dr. John Morris, who has also written some pretty indefensible stuff (see https://geochristian.wordpress.com/2012/06/02/creationism-and-volcanic-eruption-intensity/). Unfortunately, group #4 is probably considerably larger than group #1. These students grow up in the church, often on a steady diet of YEC material, and often being told that if YEC is not true, then the Bible isn’t true and Jesus didn’t die for their sins. When they see that much of what they were taught doesn’t work, they discard their Christianity along with their AiG and Dr. Dino videos. Paul Garner is one of the better YECs, as he recognizes some of the problems with flood geology. An example of this is his blog post The top five challenges for creationist geology. He still tries to pound the square peg of flood geology into the round hole of how the Earth really is, but I like him. He hasn’t had anything on his blog since September, but the Biblical Creation Ministries website says he will be speaking again starting in the fall. As far as getting Garner’s book for your [church?] library, of course I would recommend you get old-Earth books to balance out the young-Earth ones, such as The Bible, Rocks, and Time by Young and Stearley, or Genesis 1-4 by Collins. In many LCMS churches, however, these excellent books would be as welcome as books by Joel Osteen or Joyce Meyers. This adherence to the bad science and questionable Biblical interpretation of YEC is one of the weaknesses of the LCMS, an otherwise solid denomination. I haven’t listened to Issues Etc since I moved from St. Louis to Montana in 2011. It is usually the best program on Christian radio, except when they get on the topic of creationism. What would Paul Garner think of my article? He would, as a YEC who stayed a YEC while earning a degree, disagree with me. What I get from you is that you like Garner but you think he is a bad scientist – maybe not in the sense that he doesn’t understand how science works but that he is unwilling to follow where the evidence clearly leads – what the data is “telling him” – because of other fallacious commitments he shoudn’t be so worried about. Would that be accurate? our library = Concordia University St. Paul. Intersting about Roger G. Sigler. Any others you know about? Do you hold to young earth views? Do you think that geology is the most challenging area for those holding to young earth views? Jay Wile’s web site is also listed on my blog under “The Best of Young Earth Creationism.” Jay and I have friendly debates on his blog from time to time which I usually (but not always) win. For example — http://blog.drwile.com/?p=9192 — Jay unsuccessfully attempts to defend a YEC interpretation of the La Brea Tar Pits. Another example — http://blog.drwile.com/?p=2670 — Jay unsuccessfully defends the idea that Earth’s geomagnetic record points to a young Earth. That is sort of like measuring sea level at 1:00, measuring it at a two-foot lower higher level at 3:00 as the tide ebbs rises, and coming to the conclusion that Earth could be no more than 30,000 hours old. Sometimes Jay has something to say that I don’t know the answer to — http://blog.drwile.com/?p=9038. That does not mean there is not an old-Earth answer. Jay is one of the few well-known YECs that I know who acknowledge that the Bible does not require a young Earth. He just thinks that is a more likely reading, and thinks (incorrectly) that the science points that way. I understand what you are saying, but your original post made it sound like no one learns geology at the university level and sticks with the YEC view. That is clearly false. In reference to your four possibilities, I seriously doubt that you are correct in your belief that #1 is the largest group. That certainly goes against my experience. In my experience, the more science you learn, the less likely you are to believe in an old earth. Until we have statistics on the issue, the best one can say is that all four possibilities (and perhaps more) happen. In fact, according to most surveys, the vast majority of young people who call themselves Christian end up abandoning the faith by the time they graduate college. Thus, it’s not clear that a young-earther is any more likely to abandon the faith than an old-earther. I suspect that just as many people discard their Christianity along with their Reasons to Believe DVDs. I understand that you don’t like the geology of Drs. Snelling and Morris. I suspect, however, that they would say that there are numerous problems with your geological teachings and that you have written some pretty indefensible stuff. There are many other examples of people who became YECs the more educated they became. I am one example. I believed in an old earth until I studied nuclear chemistry. Dr. John C. Sanford (geneticist) became a young-earth creationist after many years of doing evolution-based genetics research. Dr. John Baumgardner became a young-earth creationist while he was an engineering student and continued in his YEC views through his PhD in geophysics. Dr. Walter J. Veith (zoologist) also became a young-earth creationist after receiving his PhD. Thanks for commenting again. I’ve benefitted a lot from this discussion. I think the stories of the scientists you mention would make a really interesting book. I know there are plenty of examples of highly accomplished YEC who are scientists – people who have published lots of stuff in secular journals, invented things, etc, etc. Someone should put together a book collecting essays by them. I know there is something like it out there, but an updated version primarily featuring the most accomplished would be a great resource, I think. Jay — I agree that research is needed into the complex process of the fate of YEC students who study the historical sciences in college. You and I can at this point only fall back on anecdotal evidence. I like your web site. I haven’t read either Broken by Fisk or Platt’s books such as Radical and Follow Me, but I suspect I would like Fisk’s book better, as long as it doesn’t slip into antinomianism. I recently told a friend that for every time we tell ourselves to be radical for Jesus (knowing that we will never live up to this), we need to remind ourselves “saved by grace” ten times. If you are going to procure books on YEC geology, stick to the mainstream, such as Paul Garner or even Andrew Snelling. They are both wrong about much of geology (in my well-educated opinion), but they are not as wrong as some of the “fringe” YEC writers, such as the “hydroplate” theory of Walt Brown or anything by Kent Hovind. 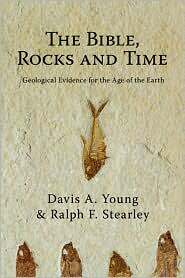 — I already mentioned The Bible, Rocks, and Time by Young and Stearley. There isn’t much Biblical analysis in this book, but the geological evidence presented demolishes most YEC arguments. 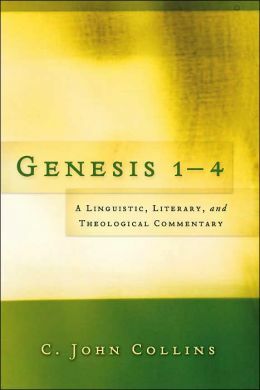 — I have also already mentionedGenesis 1-4 by C. John Collins. 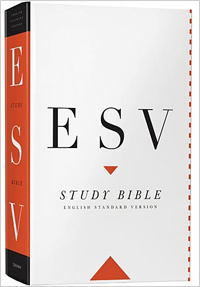 Here you will find an excellent textual analysis of the opening chapters of Genesis from someone who is fully committed to biblical inerrancy and authority, yet who shows that there is much more to the text than YEC scholars lead you to believe. 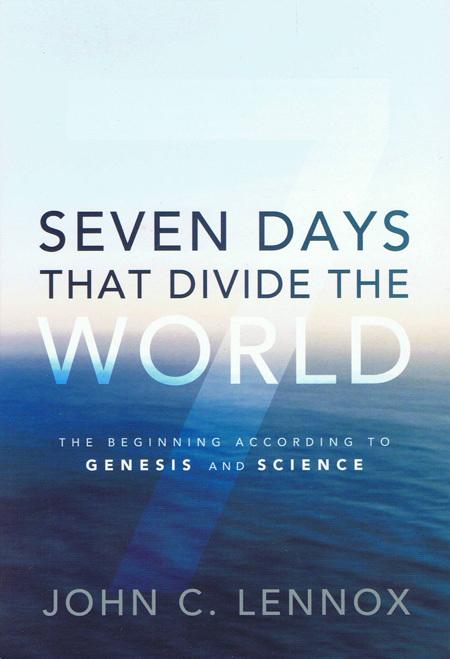 — Seven Days that Divide the World by John Lennox. Short and non-technical, but a very good exposition of an old-Earth perspective, again by someone who holds to the truthfulness of Scripture. — The Reason for God by Timothy Keller. 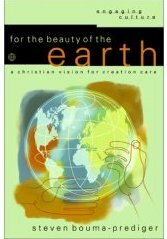 This is not a book on creationism per se, but like many of the best apologetics books on the market, accepts an old Earth. The chapter on science is very good. The risk of having only YEC books in your library is that readers will be equipped with poor evidence for the defense of their faith. Some of them will one day figure out that much of what they read about geology or the age of the universe in YEC literature is bad science, and they will be led to having a crisis of faith. Others will use the bad YEC material (I include Garner in this category; just not as bad as it could be) to try to present Christianity to scientists, which will have the effect of driving many of them away rather than drawing them to Christ. I am in category 4. By then end of my freshmen year(B.S. Geological Sciences), I realized that something was seriously wrong with church dogma; by the end of my junior year, I concluded that religion was nothing more that the superstitions of stone aged and bronze aged peoples, ignorant of their environment, trying to explain their surroundings. Thanks for your comment. I have a question for you tying in to the topic of this post — did part of your rejection of Christianity have to do with what you were taught in church regarding geology, the age of the universe, or biological evolution? Of course, my hope is that you would come back to the faith of your childhood. If you read the Bible, you find that virtually none of what is there is about the Israelites or Christians trying to explain their surroundings in the ways that nature religions of the world try to (e.g. spirits in the woods or hills). I do think Christianity has a better explanation for why there is something (a universe) rather than nothing, and would be happy to dialog about that. 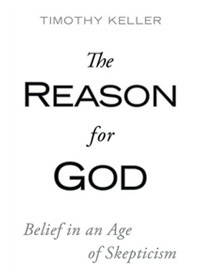 I would also be happy to send you a free copy of The Reason for God by Timothy Keller, which gives plenty of good reasons to believe in God, and more specifically, to believe in the Christian God. Just send me an email at geochristianblog at gmail dot com and I’ll get it in the mail. Thanks for the complement on my site. It started as just a place for me to put my theologizing (I do have to keep my speculating tendencies in check) down in one place, but have tried to write more “popular” articles now and get the word out about this or that (though I still don’t tweet or Facebook even). 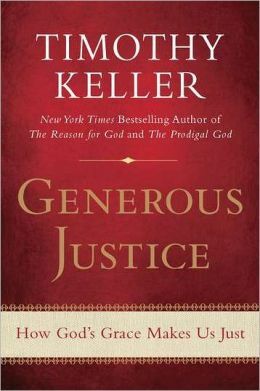 As for your suggestions, I know we have the Keller book and I think I just ordered at least one of those other ones. We ordered some 15-20 books about creation/evolution and atheism/non-atheism and only one of them was a YEC book. Most were theistic evo, old earth creationism, critiques of neo-Darwinian theory and naturalism (the new Nagel book even). I know a bit about the topic although geology and astronomy in particular are not my area. Though not an expert in logic and reason, and not an expert in geology, I must point what I believe to be serious folly here. Whether people are coming or going from YEC is not in any way relevant to argument (anecdotal – and with a sense of providing some sort of casual counseling! It is manipulative.). A serious person will discuss the facts. The irony of pointing out a false dilemma (when too few options are presented as the only options) is that the false dilemma is still completely in place – either YEC or old earth. The point is not that I need to debate other options, but that logic and reason are, seemingly, seldom understood by those who claim to be scientific. In the “false dilemma” that the Bible is true only if there is a young earth (or at least a young creation of living things) worldview, the argument is wrong. Certainly in formal logic there is reason to conclude that a person can not be truthful and lying at the same time. It is not a false dilemma, but a logical argument. Of course people identify themselves as Christians and believe all sorts of things about the Bible (much to the demise of logic). Is this something unique? To make an argument that God is truth and the Bible is his word, so therefore the Bible must tell the truth is not a false dilemma. The earth was clearly displayed as covered with water two times ( 2 Peter 3:5-6 and Genesis 1:1 and Genesis 6-8). Nate — thanks for the comment. The YECs most certainly do present a false dilemma when they say “If YEC isn’t true, then the Bible isn’t true, and Jesus didn’t die for your sins.” They raise their interpretation of Scripture up to the level of infallibility, and confuse the authority of their interpretation with the authority of the Bible itself. Many of our young people leave the church because of this. They get raised on a steady diet of YEC videos and homeschool curricula, and when they figure out that much of what they have been taught is not valid, they throw out their Christian faith along with their AiG, ICR, and Dr. Dino videos. Examples of YEC over-interpretation of the Bible are abundant. One is that there was no death before the fall. The Bible nowhere teaches this doctrine. Go read Gen 3, Rom 5, Rom 8, and 1 Cor 15 for yourself, without your YEC glasses on, and you will see for yourself. Another is that Noah’s flood must have been global in extent and that it is responsible for most of Earth’s geological features. The first interpretation is not as clear as YECs make it out to be (see for example Reading the account of Noah’s (local) flood, The ESV Study Bible on creation — Noah’s flood, or The YEC “Did God really say…?” tactic. The second part of the YEC dogma—that Noah’s flood is responsible for most of Earth’s geology—is clearly nowhere taught in the Bible. I may not convince you by these brief writings, but I hope you can at least see that old-Earth arguments are potentially valid interpretations of Scripture, not impositions of science on Scripture, or compromises, as some YEC teachers would have you believe. Hello. Nathan again, whom you have talked with before, most recently at Gene Veith’s place. I guess I have YEC glasses on. Is there a place that you have explicated these passages from your OEC perspective? You sent me to https://geochristian.com/2009/06/12/death-before-the-fall-an-old-earth-biblical-perspective/ before. Is that basically your full argument? Nathan — The Death before the fall — an old-Earth biblical perspective article would not be a complete argument, but it is an outline of how I approach the issue. It certainly could be elaborated on at length. Some of my points in that article point out genuine difficulties for the YEC No Death dogma, such as #3 (what was the world like outside of the Garden? ), #4 (I call this the YEC “bunnies and daisies world”), and #5 (What was the purpose of the Tree of Life?). The basic point is that the Bible does not teach that there was no death of any kind before Adam’s sin. As far as the Bible itself goes, maybe there was death before the fall, maybe there wasn’t. I freely acknowledge that there are derived doctrines, such as the Trinity, that are not all laid out in the Bible like in the Nicene Creed, but which are nonetheless essential. I just don’t think that No Death is a derived doctrine that has a strong biblical foundation, nor is it one that is vital to Christian orthodoxy. Most YECs hold the No Death interpretation as an unassailable dogma, the denial of which is a denial of human sin and redemption through Christ. Nonsense. As an old-Earth Christian, I still believe that sin is universal in the human race, and that only in Jesus Christ is there forgiveness for that sin (see Creation Creeds). All this said, I don’t want to be ignorant of things I should know. What in your opinion, is the best short introduction on the old earth implications of the geological evidence? I really would like to read more here, even as I have done some study in the past…. I’m guessing it one will be “The Bible, Rocks, and Time by Young and Stearley. There isn’t much Biblical analysis in this book, but the geological evidence presented demolishes most YEC arguments…” which you said above. Would that be the key one? Nathan — The Bible, Rocks and Time is not what I would recommend as “the best short introduction on the old earth implications of the geological evidence.” Its geological presentation is excellent, and devastating to YEC geological arguments, but it is not short. Unfortunately, there is not a good, short, layman’s exposition of the many errors of YEC geology. I saw your post on death before the fall. It really did not address most of the points I had made in my Death before the fall article. Instead, it was more of a “if I were God, this is how I would have done things” type of argument. You don’t like animal suffering (and quite frankly, I don’t either), so to you God could not have made a world in which one sort of animal ate other types of animals. But you need to ask whether the state outside of the garden was the same as the situation inside the garden. The YEC position that everything was “perfect” outside of the garden doesn’t mesh well with the command to go out and subdue the Earth. According to the Scriptures, the world was a place in need of subduing; it was not the docile place YECs paint it to be. Furthermore, you run into the problem of defining what is living and what is not living. Biologically, I would consider plants to be alive. Plants do just about everything animals do (cellular respiration, reproduction, etc.) using the same genetic code and same molecular machinery. I also consider bacteria to be alive, and mushrooms, nematodes (a type of worm common in soil), mollusks, and insects. Did plants die before the fall? To be a consistent YEC, you either have to say that plants did not die before the fall, or that plants are not really alive. Same with bacteria. Or nematodes, mollusks, or insects. But does the Bible require this line of reasoning? Certainly not. But you would have me believe that Adam didn’t have bacteria in his intestines (or that they were somehow miraculously prevented from being expelled from his body). You would also have to insist that Adam lived as some sort of Jain ascetic, wearing a mask lest he accidentally inhale a gnat. Or what do you do with the fact that the resurrected Lord Jesus Christ ate fish? Kevin, I think permaculture here, perhaps with some simple tech – with the labor not being intensive. Really, why would God deprive people of the joy that is gardening? I don’t think that plants and bacteria are the same kind of life as animal life (the “zoe”, or spirit life) – no, I thought about this a lot in the days before I considered YEC when I was steeped in Hugh Ross’ stuff. As for gnats, I don’t presume to say! Jesus’ eating fish just shows that the Lord Himself in HIs resurrected glory does not abandon this sin-sick and fallen creation but gets right into the muck of the less-than-ideal situation and shares it with us in love. I guess I see no reason to see why a “very good” *world* would have been that at odds with the garden – or why God, who desires to communicate clearly with us, would use words like “very good” to describe it if he knew it would cause us such levels of cognitive dissonance. Because again, sharks are like hell. Though I suppose there might be a few out there who have regained their taste for vegetation, much like the lion mentioned in the post. I guess Bruce in Finding Nemo is an example of a shark who has become a vegetarian. Or at least tried to. Thank you for posting the links to these articles to help many young Christians out there. I am a Christian, and I am studying for a Bachelor’s of Science in Geology. I’ve fallen into the category of people who is not very conflicted about “scientific evidence” in comparison to “Faith”. But I can certainly understand that many young Christians must struggle with this. I think the biggest problem we have is that people try and promote the idea that “Science and Religion Must Conflict”—this is anything but the truth. -Nowhere in the Bible does it say the Earth was created 6,000 years ago. This was actually calculated by certain scholars who counted the generations listed from Adam to Noah and so fourth. -Science is the study of the processes that make things work in this physical world. Who designed these processes. -Even in Genesis, God first made plants and animals, THEN made humans. This can even be read into the purely scientific understanding evolution. -If an artist wants to draw an elderly person, they simply draw an elderly person. They don’t have to draw an infant, then a child, then teenager, then young adult, etc, etc—they just draw the elderly person. Who’s to say that God couldn’t simply create a world in the same fashion? If He didn’t want to, He wouldn’t have had to start our solar system from collapsing hydrogen gas forming a star with an accretion disk, then compacting into molten planets, then cooling, then getting water from steam and comets, etc etc etc. He could just create this world and life as we know it a ways into its journey if he wanted! Metaphorically speaking, He can just “draw the old person” and go from there (with His perfect design)! When I began studying geology, I separated science from faith. Keeping the two in separate compartments allowed me to pursue my studies and gold onto my faith. Then I had a brief encounter with Dr. John Morris from ICR. He signed me up for the Acts and Facts monthly newsletter and I was thrilled. But over the years, I became disenchanted as all the articles denied everything I was learning. After finishing my BS in Earth Science and MS in Geology, I ran across Evidence for Good from Science, then Reasons to Believe. What they conveyed about science and the Bible made sense. Yes, there are many different flavors of Old Earth Creationism and Theistic Evolution, but I think the main idea is that we can accept what science has discovered concerning general revelation – and it doesn’t have to destroy your faith! I’m currently doing my BSc in earth science and I’ve been a Christian all my life. I don’t really have a -my way or the highway- attitude and I haven’t really taken the time to explore WHAT to believe in. Maybe I’m either being a bad Christian or a bad scientist or just plain lazy to choose a side, but I won’t let my understanding of evolution affect my relationship my God. As humans and scientists, we can`t explain everything that happens in this world – at some point, it all just comes down to faith. I tried to send an email but it wouldnt send, I have some questions I would love to be answered. Can you please send me an email? I am not a geologist, but let me say this just like I do not believe it is the role of biology to study species as they are observed, so I believe it is the role of geology to study rocks and minerals as they are today. When biology goes into theories how species were created through natural processes (like evolution) or geology how rocks were formed over millions of years, both disciplines have stopped to be scientific. No geologist or biologist lived thousands of years ago, let alone millions of years ago, to observe and document what happened. So I have to go by the historic account of Genesis that was inspired by God, regardless who wrote the book, God can be said to be its author. Genesis is very specific on genealogies, how long people lived, and so forth. Furthermore Genesis, and other books of the bible, clearly states that God created everything we have today. Isaac Newton, the greatest physicist that ever lived, thought that the earth was a few thousand years old and created pretty much in the same shape and form that it was in his day. So he limited himself to describing he scientific laws that govern the earth and the universe, but he is wise enough to never delve into a scientific theory on how everything came to be, because this would be highly speculative and impossible to prove. I honestly think than when geologists come with theories of rock formation, or river formation, or how natural process caused changes on the earth surface they are delving into history and not science. Furthermore even if they come up with a way that natural phenomena can cause rock formation or fossil fuels or whatever over millions of years, this does not mean that it actually happened. Certainly we know many scientific ways of producing wine, but this does not mean that at the feast of Cana Christ did not turn water into wine. All I am saying is that when the scripture says that God created something in a super natural way, the christian scientist has to believe this by faith, even though there is a natural process that could have theoretically created something. For example, just because wine is produced by fermenting grapes, the scientist needs to believe that at the feast of Cana Christ produced wine from water and not from grapes. Same thing with the mountains and the rocks and rivers and lakes, just because there is a natural way in which these formation could have been naturally produced, this does not mean that God use that method to make them. God, around 6,000 years ago spoke into existence his entire creation, and the scientist needs to accept this by faith. At the same time christians need to recognize that had God so chosen, he could have through natural processes taken millions of years to create what he actually according to the biblical record created in 6 24 hour days. For science and religion to peacefully coexist, the christian scientist must acknowledge by faith that God used super natural methods to create the world 6000 years ago. And the man of God, must accept that God could have but didn’t naturally create the universe as it is right now over billions years.